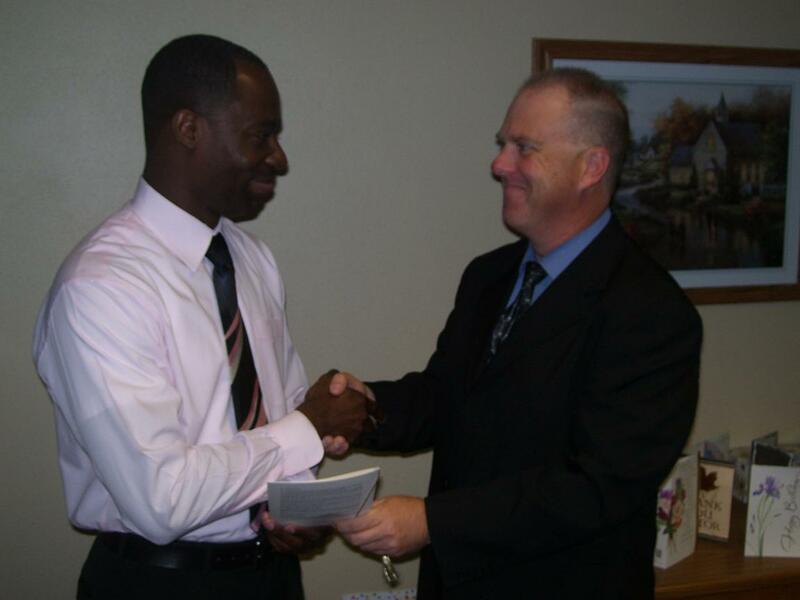 Kevin Craig receiving his baptismal certificate last February. Kevin holding the ball and six iron he used for his 150 yard, par 3 hole in one! 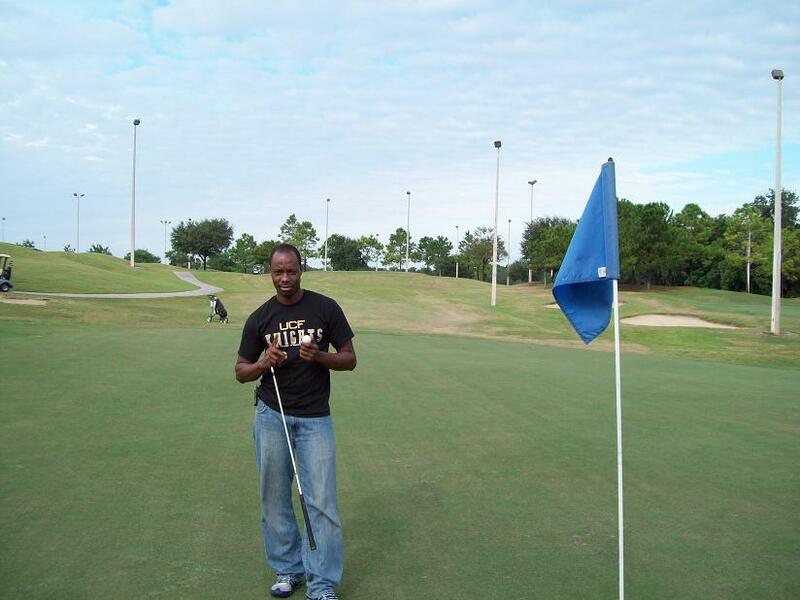 This morning, our small golf group at the Tampa First SDA Church witnessed one of the rarest sports feats, a hole-in-one! Kevin Craig, who was baptized just last February, came for the first time to our small golf group. Besides picking up a club a time or two in England this was his first golf game. We took a couple minutes on the driving range with Richard who was making his first appearance too. Then on the second hole the unbelievable happened! Using his 6 iron, 150 yards away on a par 3 Kevin hit the ball up onto the green. We were not sure where it was exactly but we knew it was on the green. As we approached the green we were puzzled because we could not see the ball. The thought of someone getting a hole in one on the second fairway they ever played on never entered our mind. But it happened! There the ball was in the cup, a hole in one! Amazing! The rest of us were very excited but Kevin did not at first really realize what he did. He was excited but did not realize just how rare a hole in one is. It is rarer than a triple play or inside the park homerun in baseball. It is about the rarest feat in all of sports! Few people have ever had a hole in one. Many play their entire lives and never get a hole in one and today Kevin got one on the second hole he ever played on! It is also the first hole in one I have ever seen. I would love to hit my own one day, but today it was exciting just to see Kevin get his! Way to go Kevin! Click here for more pictures and stories about Kevin and our small golf group today. william you hit a hole in one everytime you give someone bible studies and they are baptised. that to me is the ultimate hole in one. some people go thru life with never having someone baptised. william your are the only onw with golf shoes on. get rid of them and maybe?